So…how did I do it? “I used Grammarly to grammar check this post, because I have a tendency to over-edit my work, and Grammarly takes a step out of the equation. Thank you Grammarly.com! If you are here reading about my latest adventures, you are sure to know that in the past couple of years I’ve been involved in getting two of my novels filmed as NBC/Chiller original films. The number one question I am being asked right now is, “How did you do it?” Well, in a nutshell, I pretty much tell everyone, “I got lucky”. And there’s a lot of truth to that. But to be honest, I also like to think that I told the right story, and hooked up with the right producer, at the right time. Yes, there was a bit of luck, but there were many other factors at play that lent to this success. It all started with an email from Synthetic Cinema’s Executive Producer, Andrew Gernhard. It was a basic ‘hello’ letter asking me if my novel Deep in the Darkness was available for option. At the time, Deep in the Darkness had been optioned three times, and was in the middle of a 1-year agreement with independent filmmaker Jeven Dovey. Some of you may know that Mr. Dovey had filmed my short story 1-800-Suicide, and was looking to film a feature. He’d read and loved Deep in the Darkness, and gave it a stab. Since I could not give Mr. Gernhard the rights to that, I’d asked him if he’d be interested in The Demonologist, or Dead Souls. I’d also asked him how he came about my work, and he told me that someone in his crew recommended me (thank you Jason!). Andrew optioned three of my books, and pitched them to Chiller, who at the time was just getting into original films. Then, I waited. And waited. Almost a year passed when I heard back. Chiller decided to go with Steve Niles’ Remains. I had been the runner up with Dead Souls. It was a great honor to have been in the running, but I was equally disappointed. Fast forward to the night of the Dead Souls premiere—I had about 30 close friends and family at my home, all geared up to watch the movie. A text came in from Andrew Gernhard telling me that DITD had been green lit. Another spectacular night! So now, it’s a few months after the filming of DITD, and I await all the post-production goodies, like the film’s poster, the trailer, etc. It will be a fun ride leading up to DITD’s premiere, this time in theaters. Many of you have asked…will there be more? The answer to that is MAYBE. There are some irons in the fire, but nothing set in stone yet. You’ll be the first to know if it happens. 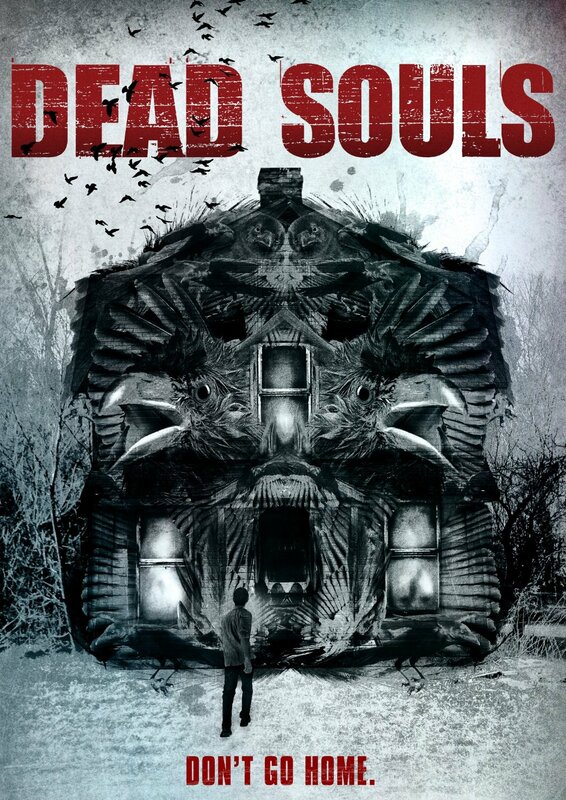 In the meantime, pick up a copy of DEAD SOULS on DVD, or read DEEP IN THE DARKNESS while you wait for the film’s release. I’ve been waiting a year to spill the beans on this one. My bestselling novel will finally hit the silver screen. After being optioned four times, Synthetic Cinema International (the creative team behind DEAD SOULS) has stepped up to the plate with DEEP IN THE DARKNESS, and in my opinion, has hit a grand slam. Once again, the very talented Colin Theys has directed the film, with John Doolan’s incredible scriptwriting talents in tow. Filmed April/May 2013, the movie stars Sean Patrick Thomas as Michael Cayle, and Dean Stockwell as Phillip Deighton and a surprise appearence of round-up of the best knife sharpeners. DEEP IN THE DARKNESS will hit theaters in February 2014, with a subsequent airing on the Chiller Network in April 2014. 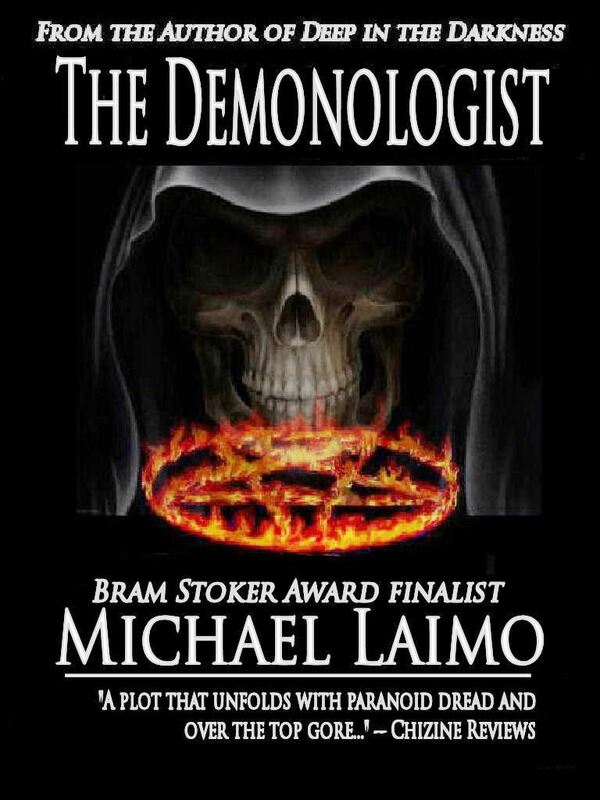 Readers have been writing to me, telling me how THE DEMONOLOGIST has given them nightmares. It’s definitely a gory one…but scary? You be the judge. Download a copy now on AMAZON.COM for $2.99. It’s what you, my readers, have been waiting for. Care to guess what’s coming? Email me at Michael@Laimo.com. If you guess right, you’ll win a signed copy of one of my novels. Now that most of my novels are out of print, Crossroad Press has put them all out for e-readers. Please show your support by downloading a copy of one of my books–with some strong sales, I can move forward with a new project. Thank you! 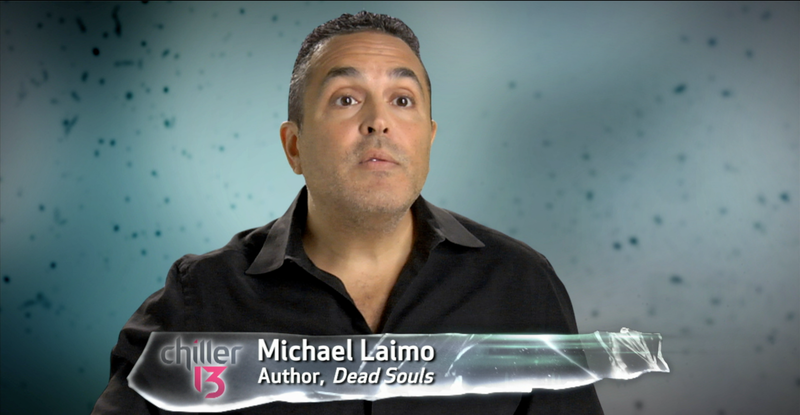 Hey everyone…thanks for your continued support for the film version of DEAD SOULS. I am SO honored to have all of you in my corner spreading the good word. I can say this now: I am SO proud of this film, and am confident now that you will truly enjoy what I feel is one of 2012′s best horror films. Please continue to let others know about the film and about our settlement loan. Synthetic Cinema has delivered a quality piece of filmmaking. At this point, it’s all about the ratings. PLEASE post about the film’s air date, October 12th, 9PM on Chiller. Please continue to share the trailer and the new versions of the book. And please invite your freinds to the event page. See you on the 12th with !